It's a big new finding that could change how planes and cars are de-iced. Scientists have created a spray-on coating that uses a unique method to keep ice off of car windshields, airplanes, and other objects. Researchers from the University of Michigan announced the new coating method in a statement, which noted that for years scientists have been trying to figure out the chemistry to creating more water-repellant and ice-repellant surfaces. The new ice repellant they’ve developed can be sprayed directly on a surface. It is thin, clear, and a little bit rubbery, and ice simply slides off of it. 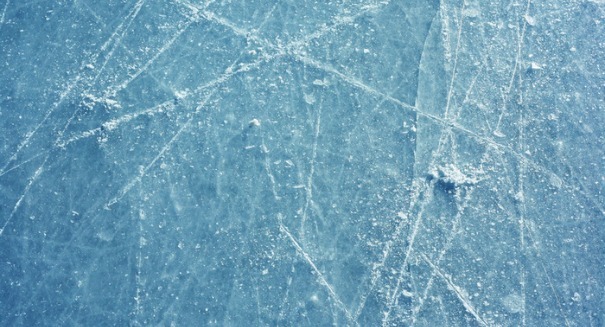 In the past, scientists had used water-repellant substances, but they didn’t work so well at repelling ice. However, they found that rubbery surfaces seemed to do a better job of that, although they were ineffective at repelling water. The scientists have figured out how to combine the two properties. Other research teams hadn’t thought to try to use rubber to reduce ice adhesion, but this turned out to be the route to a critical breakthrough. Golovin added that two rigid surfaces, like ice and a windshield, can stick together and it’s difficult to separate them, but via “interfacial cavitation,” rubbery surfaces behave differently.